Sprecialize in precision parts! 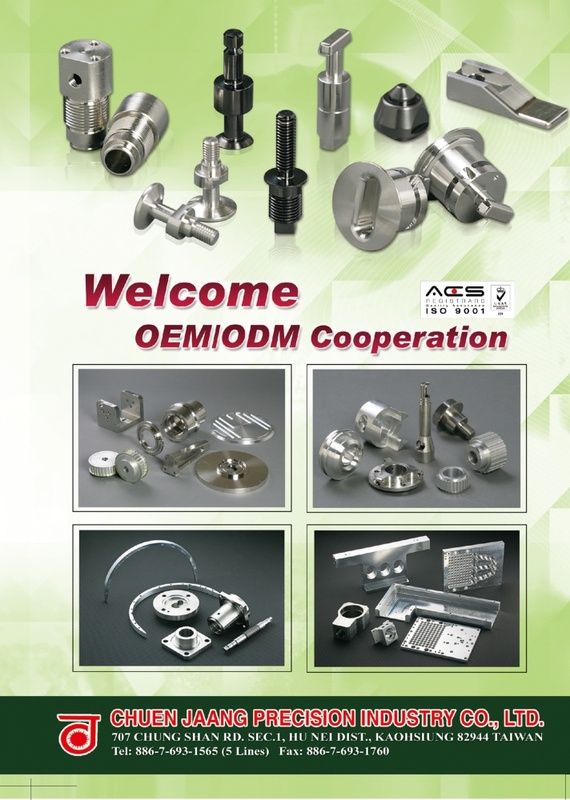 Welcome ODM / OEM Cooperation! 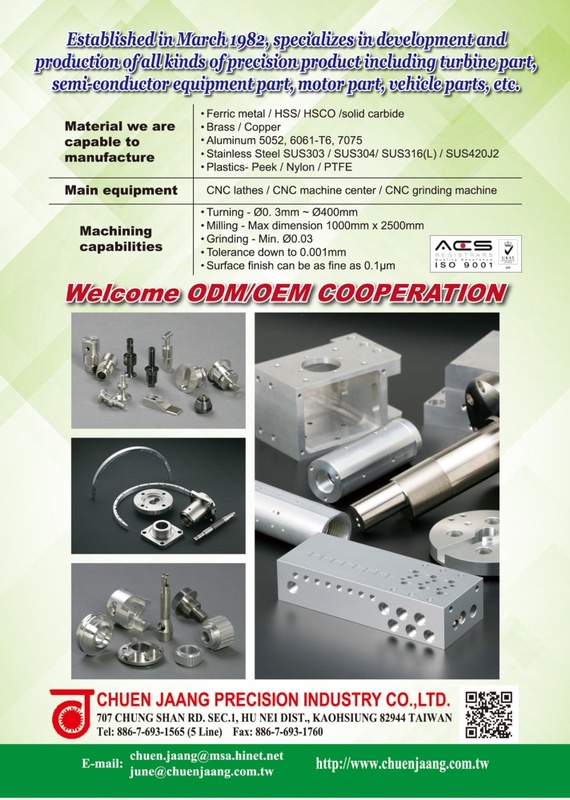 We, Chuen Jaang Precision Industry Co., Ltd., established in March 1982, specializes in development and production of all kinds of precision metal, stainless, aluminum, copper, and plastic parts. Our machining capability feature diameters down to 0.03mm, tolerances less than 0.001mm, surface finish as fine as 0.1um, and length ranging from 2mm to 500mm. 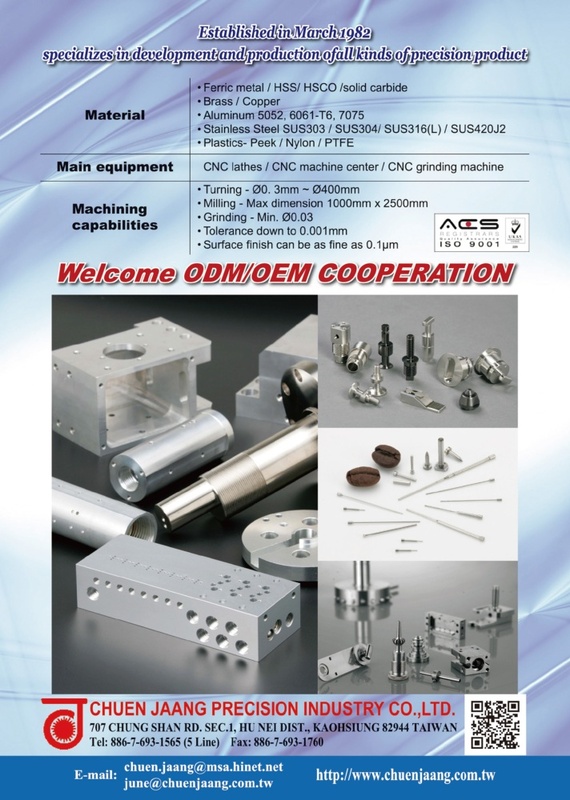 Our products can be widely applied to almost all the industries. 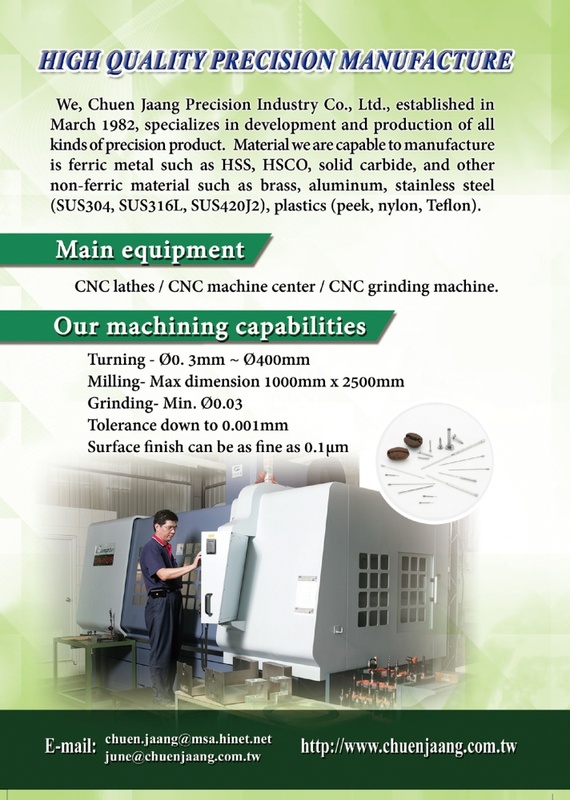 At present, 40% of the company’s output is sold to the industry of electronic parts and accessories, 30% to the molds and dies, 20% to the automobile and machinery, and the remaining 10% to others, such as watch, toy, furniture, firearm, and textile.